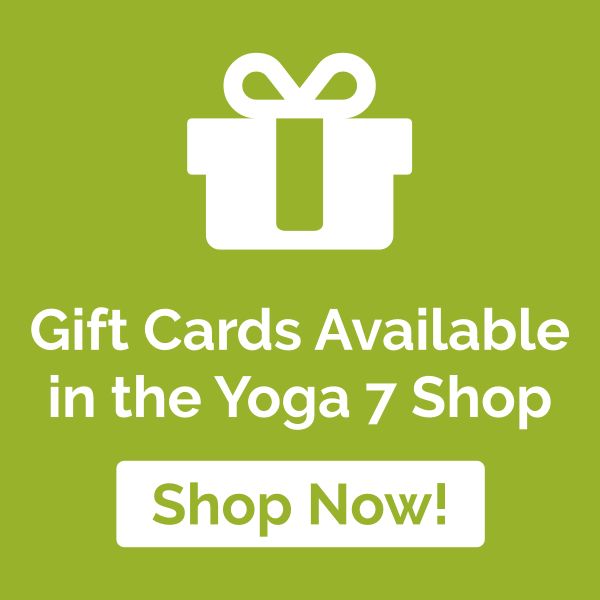 Home / About Yoga 7 / Yoga 7 Classes – Who are they for? Having a regular yoga practise will change your life. Regardless of your fitness level, age, shape or size, you will experience countless benefits from Yoga 7 classes. We are all built and shaped differently, with different strengths and weaknesses. The focus of Yoga 7 teaching is to accommodate the individual. Taking any injuries or specific needs into consideration, you will have the option of different levels of difficulty for most of the postures, in order to allow you to practise at your own pace. You are always encouraged to push yourself to a point of mild discomfort but never to the point of pain. This helps you identify when you are challenging yourself as opposed to potentially harming yourself. The benefits to learning about your body in this way are endless. Having fractured my pelvis and having two knee injuries, I am all too aware of the body’s limitations. Injury, wear and tear, as well as being in the afternoon years of my life, means that I have learned to work with the body I have, at any given moment. Some days we are more supple than others and for no obvious reason. This is why you will always be reminded to work with the body that you have, today. The importance of listening to your body through prananyama (breathing techniques) and yoga nidra (relaxation), enabling awareness and mindfulness to be present and heightened is emphasised in each class at Yoga 7. Encouraging this awareness in class not only helps us prevent injuries, but builds a desire to challenge your body as you become more familiar with it. In each session you are encouraged to try and get the most out of the body you have that day, at that precise moment. Yoga props, including blocks and straps, are often incorporated into the asana (postures) to enable the posture to be modified for your ability and to maximise the benefits of your stretch, balance and strength. Classes usually have a mixture of abilities, so there will always be others in the class that are more or less able than you. Yoga 7 classes are a realistic reflection of the life that we live, highlighting the beautiful reality of the things that make us different. As great as it can be watching people do amazing things with their bodies, it’s also good practise not to compare yourself with others in the Yoga Class. Unwanted frustration from the need for comparison can inhibit your experience of learning Yoga and be counterproductive. Please also try not to compare yourself with whom you once were and what you were once able to do. Instead embrace who you are today and work with the body in the present moment. Yoga 7 students who have been attending classes every week for the last 7 years are experienced and proficient in their practise, because they attend weekly classes and are persistent and committed to obtaining the benefits Yoga 7 provides. These same students are on their own journey achieving the best they can through practise and feeling the benefits of a regular practise. After a few classes you will quickly become more familiar with postures and you will be surprised how quickly your strength, balance and flexibility improves. I have said it before and I will say it again, the best approach to Yoga is to work with the body you have at any given moment and persevere. Yoga is for every body so you can do it. Patience and time will give you the great changes that you may want. Know that you are in safe hands with Yoga Classes at Yoga 7- independently rated as providing the best Yoga Classes in Worcester since 2014.